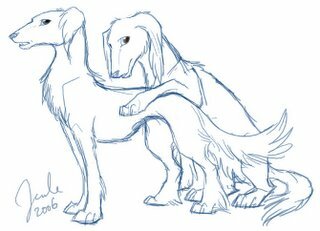 Started drawing salukis again for some reason. They are such beautiful dogs. 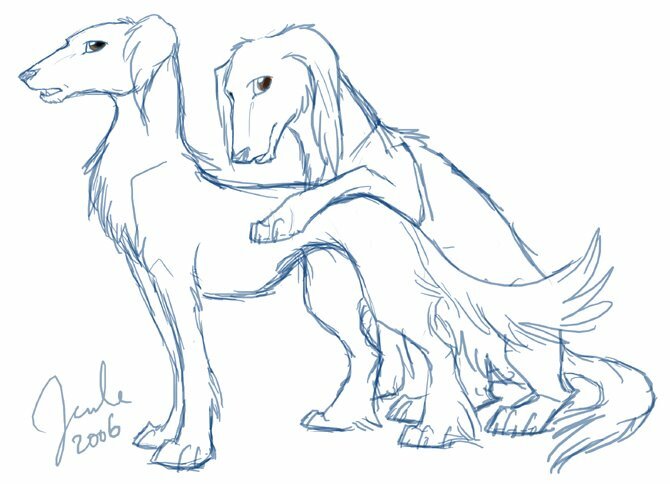 I think of them as furrier versions of greyhounds. Sigh. I sketch a lot these days. I have a ton of pictures to start and finish but I never want to work on the computer. Bleh. Phooey.